13 Apr 2007 Onboard the White Manta live-aboard boat up to Pulau Tioman and Pulau Aur. Please help identify the critturs if you spot a mistake. It's a crab. 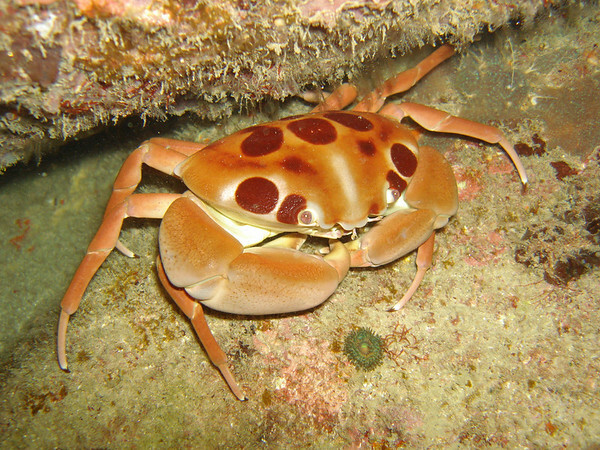 A beatiful crab. But I've no idea what species. This fellow was about 50-60cm across.